These beautiful keep-sake boxes are made from the bark of the corocho tree. 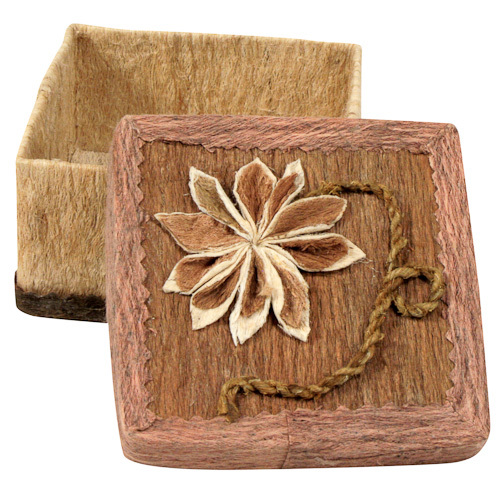 Enjoy these boxes, decorated with flowers and other patterns, handmade by women artisans from Bolivia. Your purchase ensures an alternative income source for these artisans and supports them in earning a better livelihood. 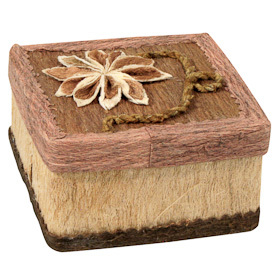 Handmade in Bolivia and fair trade imported.